The store is organized by region instead of varietal, something that is extremely helpful and something that I’ve rarely seen in any other wine shop. I head straight to the back for the big, bold Napa reds. It’s one of the few stores that carries Kathryn Hall and Cade Cabernet, two of my favorite wines ever. You’ll also find the usual suspects of Napa superstars: Caymus, Plumpjack, Insignia and more. That’s not to say all the wines sold are high-end, but everyone from $25 per bottle casual sippers to the $2,500 per bottle Screaming Eagle collector can enjoy the Wine House. The super luxe wines are housed in a closed off climate controlled reserve room. They have a printed catalog with the options and prices. So much fun to browse (even if, like me, you are only a dreamer and have never purchased from “the list”). You can buy much more than wine here — there’s a nice (but small) selection of spirits and liquor as well as a little section of refrigerated deli goods and cheeses. There’s also a great selection of wine-related gifts (corkscrews, picnic wine glasses, crystal decanters, gift bags and lots more). I purchased my beloved Coravin system here (they sell the replacement capsules too)! There’s also an awesome tasting area with a few Enomatic machines. Go to the back and purchase a tasting card. This is a great way to try a new wine. 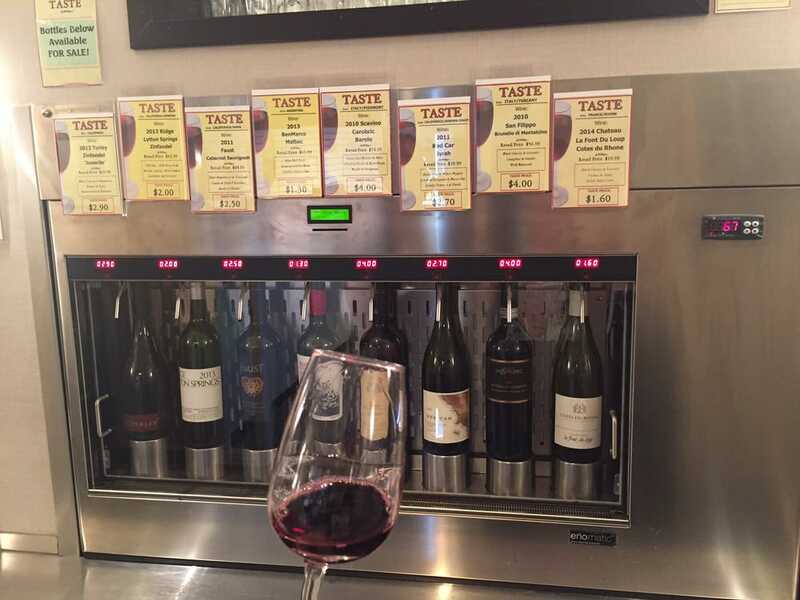 If you like it, you can pick up a bottle right underneath the tasting machine. This tasting room can be very hit or miss. On my last visit, I hated everything I tasted. Better luck next time. Make sure you check out their sale rack for some really good bargain prices on select bottles. 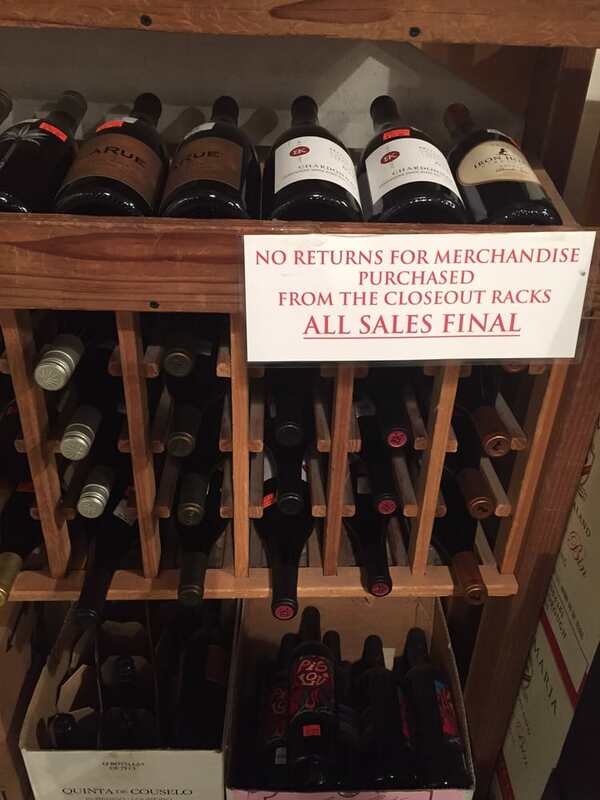 There are no refunds if you buy from this rack but I’ve never (knock on wood) purchased a corked bottle. Lately I have also noticed that the staff can at times be less than knowledgeable about their products. That’s okay if you know about wine yourself but don’t expect anyone to be super helpful if you have questions. The staff is reasonably friendly but not well informed of the products (but there are lots of different items in the store so I don’t even know if it would be possible to know about everything that’s on offer)! Some of the prices are inflated and others are bargains. If you know your wine, vintages and pricing, you’ll come out ahead. I’d also recommend that you watch your transaction as it’s being run up as well as carefully review your receipt BEFORE LEAVING THE STORE. We’ve been overcharged several times and had to bring it to someone’s attention. Bonus stars for the ample free parking (take the ramp to their upstairs parking lot) and clean restrooms at the store entrance. I love this wine shop and I’ve been known to spend close to 2 hours just browsing here. 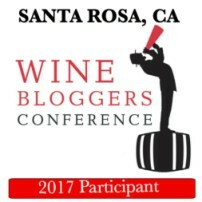 Worth the trip if you’re a wine lover. This review is the personal opinion of the author. We are not compensated for our reviews.